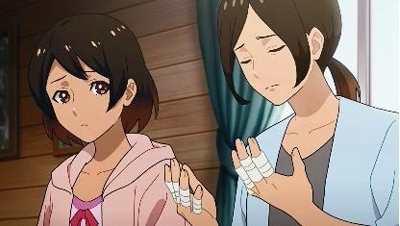 Chugai Pharmaceutical Co., Ltd. (TOKYO:4519) announced today that it released a disease awareness anime about rheumatoid arthritis dubbed in English and subtitled in Chinese, Korean, French and Spanish, celebrating World Arthritis Day on October 12. Rheumatoid arthritis is an autoimmune disease that most commonly develops in women aged from 30 to 59. The number of patients is estimated to be 0.7 million in Japan and 23 million in the world*. The disease causes destruction of the joints and bones and deformation of hands and feet, which may significantly affect daily lives. However, with recent treatment advances an increasing number of people with the disease can control joint swelling and pain, as well as continue daily activities like housekeeping and hobbies, if they visit specialized medical centers early and receive appropriate treatment. Chugai has continuously emphasized the importance of early treatment of rheumatoid arthritis and promoted a better understanding through a short film titled “Mother’s Lipstick” (awarded 2016 Cannes Lions Bronze) and a music video titled “With A Wish” released by a singer, Mina Ganaha. Under the concept of “contribute to the medical community and people’s health around the world by expanding awareness of rheumatoid arthritis among the general public as well as patients and their families,” we have decided to release a disease awareness film by means of anime, one of the icons of Japanese culture. With this movie, we aim to appeal to a broad age range, including the younger generation aged between 10 to 29, about the importance of “early detection”, “early treatment” and “medical care provided by rheumatologists”. Tatsunoko Production Co., Ltd., a company that has introduced Japan’s leading anime series including “Yatterman” and “The Genie Family” throughout the world, was responsible for character design and production. Ayana Taketatsu, a voice actress who has over one million followers on Twitter, and Kayoko Ohkubo, a comedienne who herself has experienced rheumatoid arthritis, voiced the main characters. Chugai is continuously committed to promoting disease awareness activities leading to trust and appreciation from all stakeholders including patients, their families, and healthcare professionals, aiming at contributing to the medical community and people’s health around the world. [Story] Nanami and Hikaru have grown up together on an island. They were spending happy and cheerful days. It happened on one of those days when Nanami was a senior in high school. Nanami’s mother started to complain of discomfort of the hands and fingers. Nanami was worried about her mother and took her to a hospital. The symptoms, however, did not improve. Hikaru was determined to become a doctor to help Nanami and her mother suffering from the unexplained symptoms. After becoming a medical student, Hikaru studied hard and encouraged Nanami’s mother to consult a rheumatologist. Nanami was relieved seeing her mother successfully started treatment of rheumatoid arthritis. In fact, Hikaru helped Nanami because he had certain thoughts. Chugai Pharmaceutical is one of Japan’s leading research-based pharmaceutical companies with strengths in biotechnology products. Chugai, based in Tokyo, specializes in prescription pharmaceuticals and is listed on the 1st section of the Tokyo Stock Exchange. As an important member of the Roche Group, Chugai is actively involved in R&D activities in Japan and abroad. Specifically, Chugai is working to develop innovative products which may satisfy the unmet medical needs, mainly focusing on the oncology area. In Japan, Chugai’s research facilities in Gotemba and Kamakura are collaborating to develop new pharmaceuticals and laboratories in Ukima are conducting research for technology development for industrial production. Overseas, Chugai Pharmabody Research based in Singapore is engaged in research focusing on the generation of novel antibody drugs by utilizing Chugai’s proprietary innovative antibody engineering technologies. Chugai Pharma USA and Chugai Pharma Europe are engaged in clinical development activities in the United States and Europe. The consolidated revenue in 2017 of Chugai totalled 534.2 billion yen and the operating income was 103.2 billion yen (IFRS Core basis). Additional information is available on the internet at https://www.chugai-pharm.co.jp/english.